When it was announced that SoulCycle was coming to DC, my daughters couldn’t stop talking about it. For months, they pushed me to please try it when it opened. I’ll admit, I was apprehensive at first, but they wore me down and the rest is history. Their persistence is a gift I will forever be grateful for. My first ride was at the West End studio in DC. I remember walking into the studio that day and feeling such amazing energy. Everyone was so friendly and helpful. The studio itself was totally my type of place; minimal and inviting! My first class was with Kathleen Kulikowski and boy, was I humbled. I sat in the very back and had to sit in the saddle several times. I remember thinking, holy sh*t this is so hard! But Kathleen pushed the class and inspired me to a level that I could not fathom. I was drenched and exhausted, but knew I had to come back! Riding with my daughters Alexandra and Madison always pushes me to try harder. For the first few months, when I was still learning how to ride and growing more confident with the moves, I stayed in the back row and would watch them. After every class, I'd tell myself, one day you will be able to ride in the front row with them. As time went on, I gained strength and confidence and made it to the front row. Nowadays, I often get the pleasure of riding next to them. Every time I do, I’m ecstatic. Being able to participate in a class with my girls that is good for us, both mentally and physically, is something I am so thankful for. Life is incredibly short, and being able to spend time with them in this capacity is phenomenal. The West End studio is our happy place and where I take 90 percent of my classes. No matter how we are feeling or what we have been dealing with, we all feel so good when we enter the studio. We have found the community to be so welcoming and have made some amazing friendships with people in that community. We’re thankful to be a part of it. Aside from Kathleen, instructor Garrett Schlosser has taught me a tremendous amount about myself. Every class I take with him, he pushes me. His classes are tough, but he always has a message that speaks to me. Going to his class is mentally enriching; the intense workout on the bike is the icing on the cake! He helps you to climb mountains — physical, mental, emotional and spiritual ones. Everyone in his class climbs these mountains together with his inspirational stories and no-BS mindset when it comes to turning up your resistance. 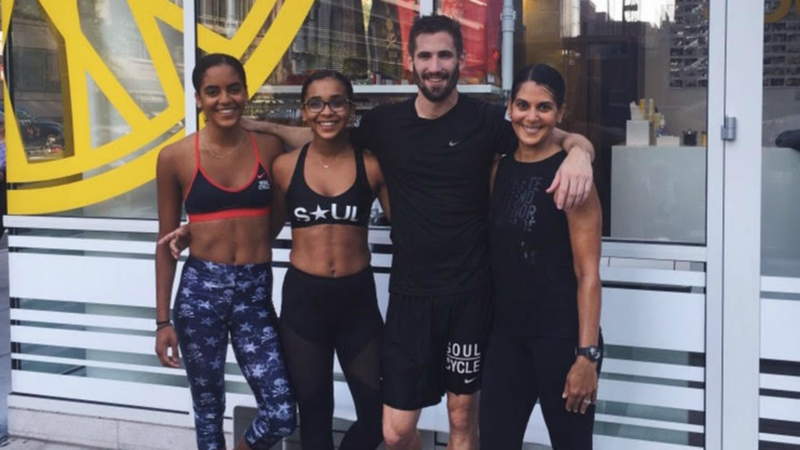 We all frame our individual mind, body and spirits by accomplishing this together in class as a pack, and this creates the strong community that is cultivated at SoulCycle. I believe that this pushes us all to be our BEST selves, and the way that Garrett accomplishes this every class is absolute genius! I just took my 400th ride at SOUL. I ride as much as possible because I absolutely love it. SoulCycle, for me, has been about letting myself feel everything. Before I started riding, I had gone through some really difficult times, and SoulCycle has lifted me in ways that are hard to describe. When I am on the bike, I am able to tune into the feelings that I need to deal with and work out. I feel the beat of the music as it goes through my entire body. I feel the love in that room and know that there are so many wonderful people in this world. SoulCycle has changed my life. I am much stronger, physically and emotionally. When my girls and I ride together, we are powerful. 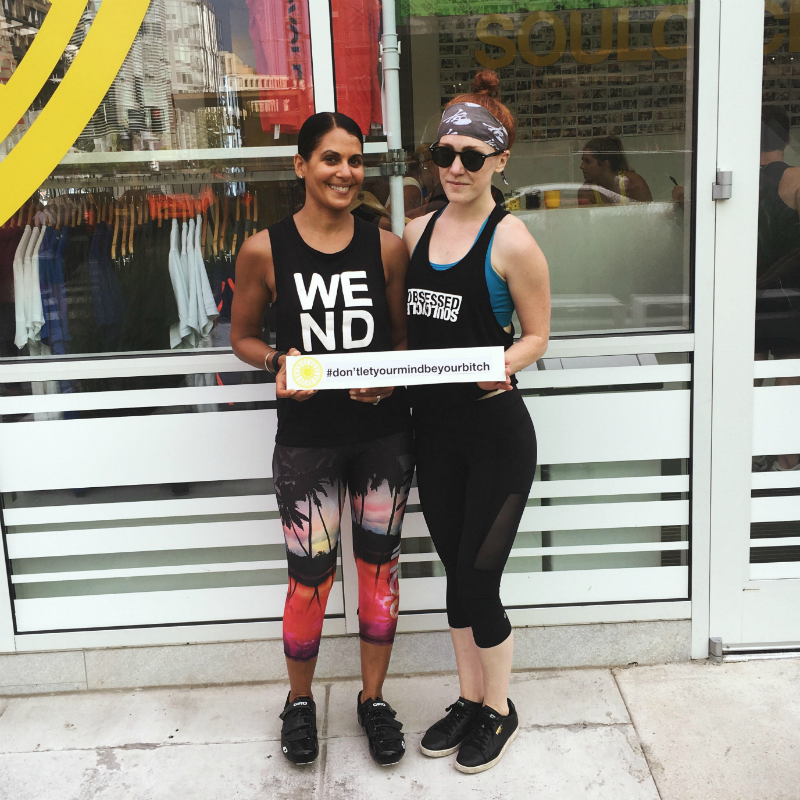 Thank you, SoulCycle, for everything! You will be forever engrained in my heart.